Finally got to see Marvel&apos;s Into the Spiderverse and I was INSTANTLY inspired. Meet the Sea-Spider! He’s a loving dad that really likes fishing and bad puns. 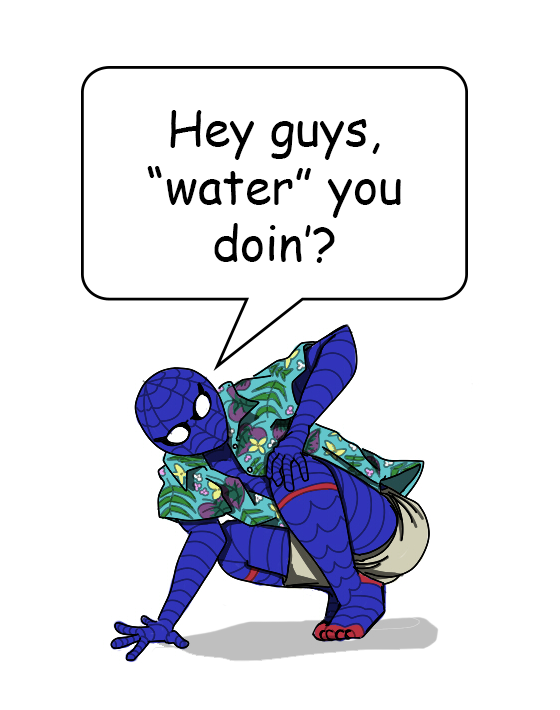 He was bitten by a radioactive diving bell spider and lives in Florida, so he mostly handles crimes that are water-based or water related. He’s sometimes jokingly called Florida Man due to his signature ‘look’. His dead loved one is his dad&apos;s fishing boat.